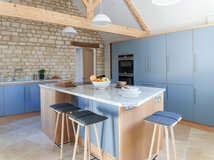 The couple who own this bright and practical kitchen knew exactly what they wanted from their cookspace, and their architectural background helped them convey their ideas to the designer, Tom Jones-Marquez of Bath Bespoke. “It was very much a collaborative effort,” he says. 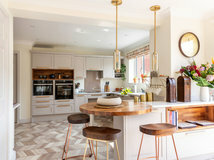 “They presented us with a set of rough ideas they’d drawn out on CAD [computer-aided design], and we discussed them, revised them, and bounced ideas around for a good month or so.” The result is a bright yet functional kitchen in which the couple can indulge their passion for cooking. 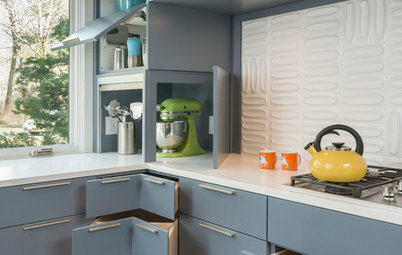 For the walls, the clients were keen to use an innovative material called Valchromat – a dyed composite board that comes in a variety of colours. “It’s an interesting and durable material,” says Jones-Marquez. “It has its own unique texture – it feels very smooth, but you can see the fibres of the composite within it. We sand it with a 320 grit and apply a lacquer for protection. 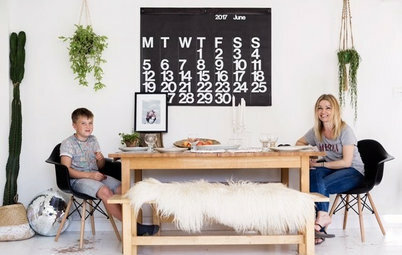 “The shading depends on the extent of the sanding,” he adds. 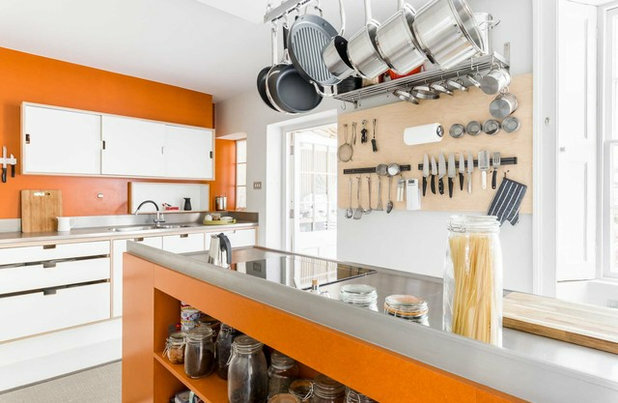 The client chose a daring orange colour, which gives a warm contrast to the cool stainless-steel worktops, as well as the pale wood and white units. 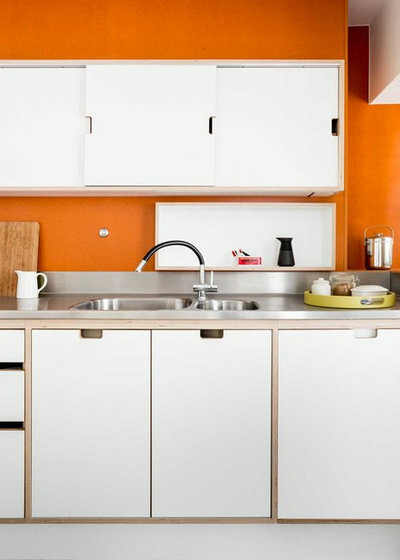 Orange covering used on walls and back of island, Valchromat. 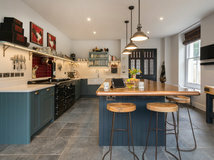 The 250 x 80cm island is super-functional and houses an under-counter oven, drawers for cutlery, utensils and pots and pans, and an induction hob. 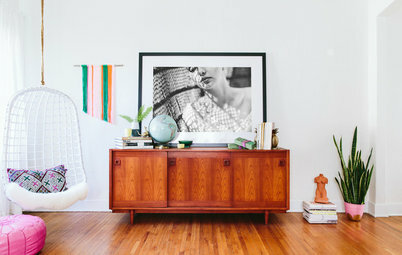 To the left of the drawers there’s also storage for bins. 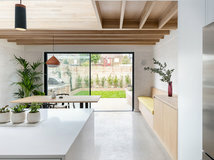 On either side, the fascias have been left bare to give the island some balance. 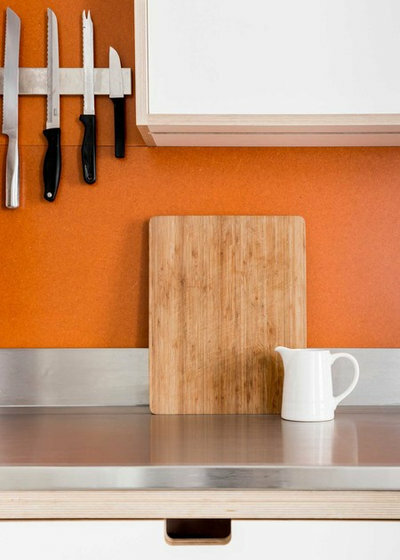 The worktop is made from a high-grade stainless steel. 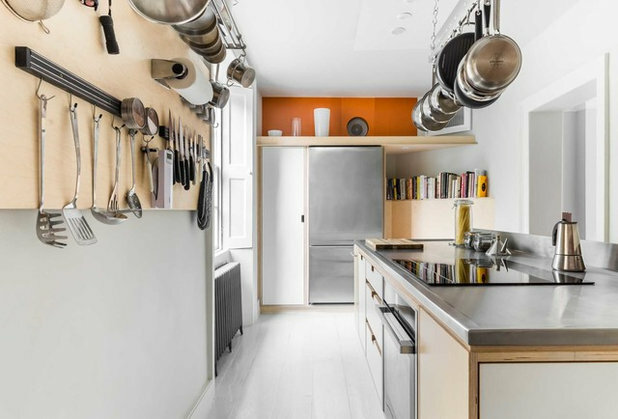 “We bent the steel to form an upstand, which prevents any cooking spills landing on the floor behind,” says Jones-Marquez. 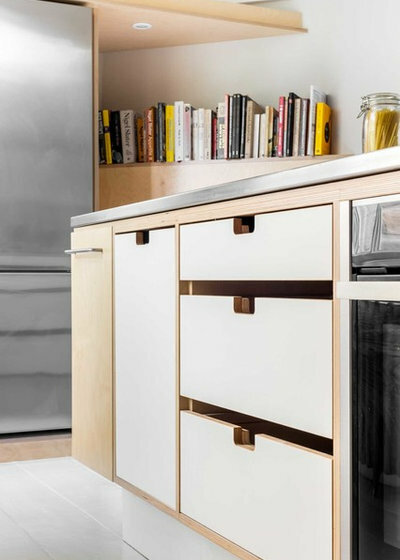 The client came up with this simple yet clever idea of incorporating gaps between the drawers. “It makes them more ‘grabbable’,” says Jones-Marquez. 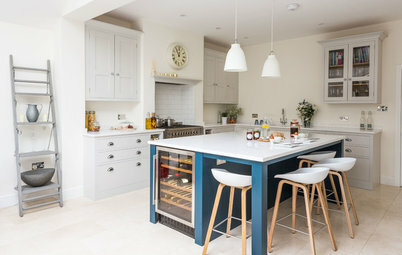 On the back of the island, the team used Valchromat again to create some handy extra shelves for herbs, spices and dried ingredients. 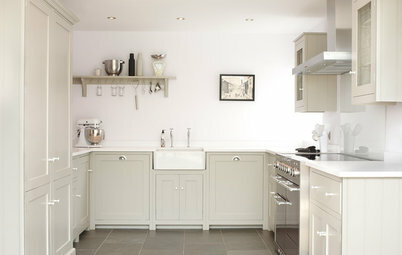 The sink area is kitted out with an integrated dishwasher on the right, a double sink cabinet and some drawers. 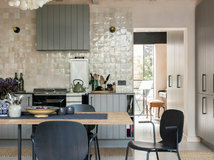 Most of the crockery is stored in the wall cabinet above, which the team fitted with a wide sliding door that doesn’t open out into the room. 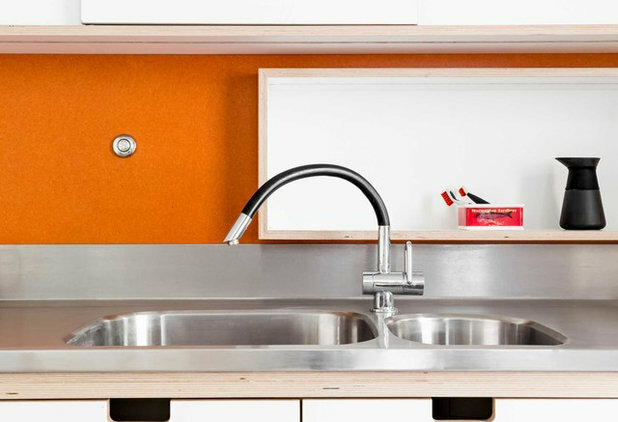 The team also made a little shelving unit from birch ply for sink paraphernalia. 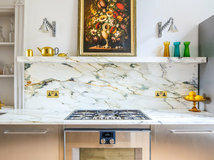 The sink is seamlessly integrated into the work surface, and LED lighting under the cabinet illuminates the whole area. 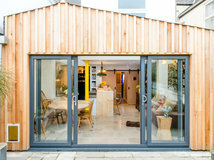 Are these the smallest spaces on Houzz? 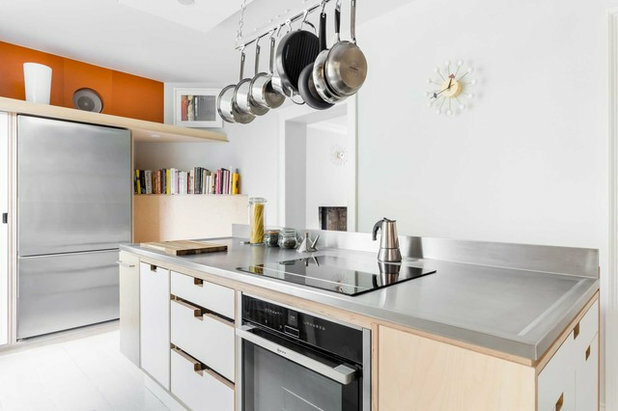 The 900mm stainless-steel fridge fits in with the design of the kitchen and has plenty of space for all the couple’s fresh ingredients. 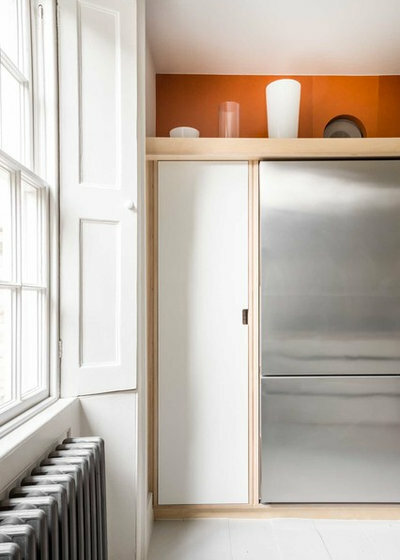 The team made a bespoke larder next to it, with pull-out drawers inside, and above is a shelf for extra storage. 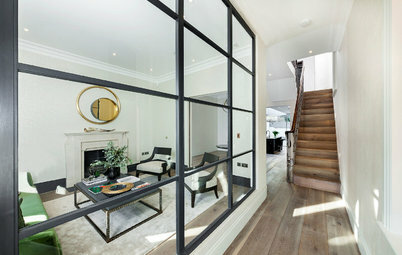 Jones-Marquez and the team also restored the sash windows as part of the project. 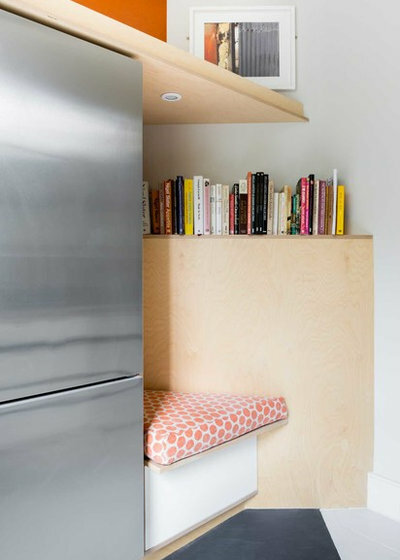 The clients asked for a cosy seating area to be incorporated next to the fridge, with room for books and storage below the seat. Again, the seat is made from birch plywood and Formica, and LED lighting ensures it’s bright enough for reading. 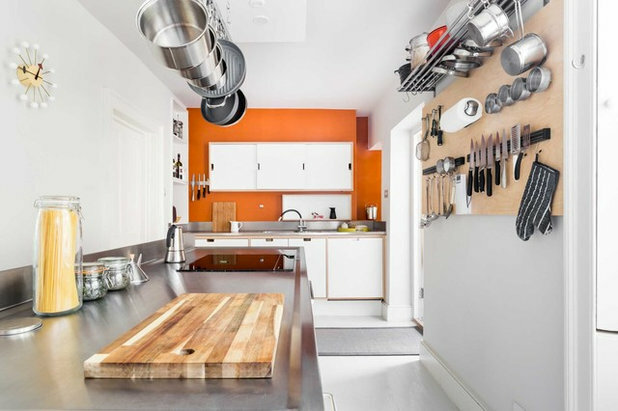 What do you think of the clever design in this small yet functional kitchen? Share your thoughts in the Comments section. 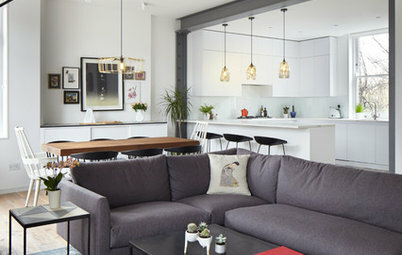 Decorating Is This Item the Unsung Hero of Interiors? 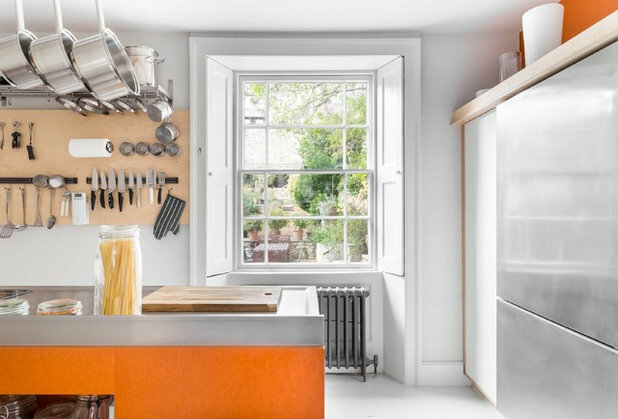 Kitchen Ideas Which is the Best Corner Storage Solution for Your Kitchen?